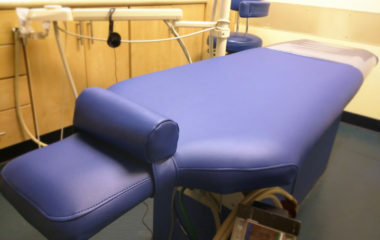 Fitness equipment upholstery gets broken down over time with exposure to the sweat and oils from our skin. When you add the cleaners that are necessary for proper sanitation the process is exponentially accelerated. Proper form is so critical to getting the most out of any fitness plan. With the pads cracked and torn, working out properly is very difficult. Painful, even for the strongest of fitness enthusiasts. 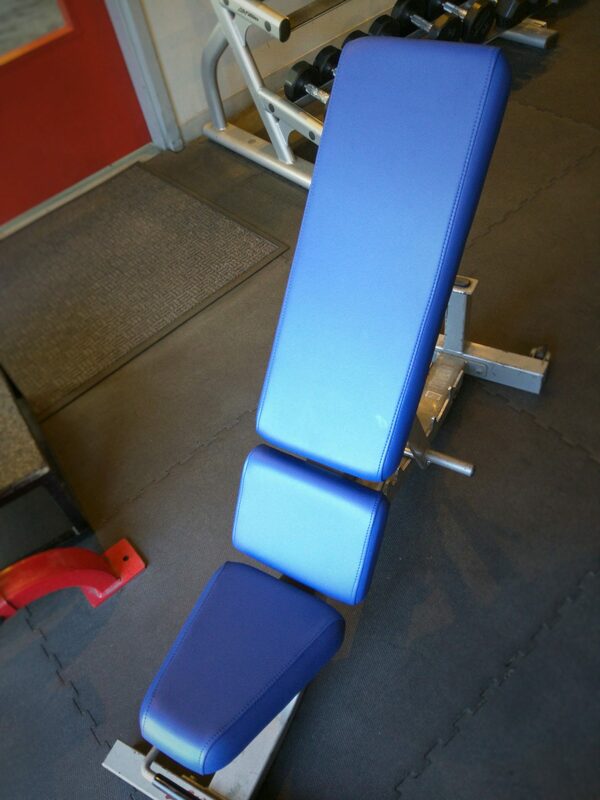 Vital Strength & Fitness was interested in taking care of these pieces recovered fast so their customers could get back to getting strong and fit in a comfortable environment. 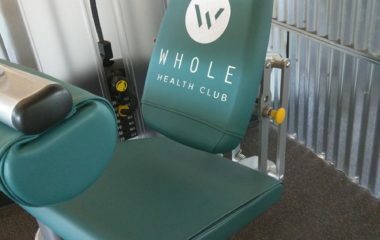 At an average visit to a fitness club we arrive, park out of the way, and and plug in the truck. Once the shop is prepared we remove a few of the pads we’ll be servicing. We have all the necessary bits, sockets and attachments. We even bring special tools for when more extreme forms of removal are necessary. On each machine we’re servicing we magnetically attach special ‘out-of-order’ signs. The pads are taken to the truck and new covers are custom patterned and installed. When a set of pads is complete we quickly return and reinstall them. 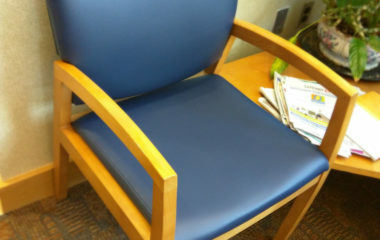 The process is repeated , taking care to ensure no one’s workout routine is interrupted. When we’re finished we visit management briefly to let them know we’re done and to review our work. For this job we completed full recovers of every pad for five different machines. The entire job was completed in less than 5 hours. 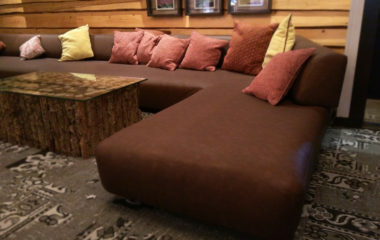 At Advantage Mobile Upholstery, we’re as interested in functional, durable, and beautiful upholstery as you are. 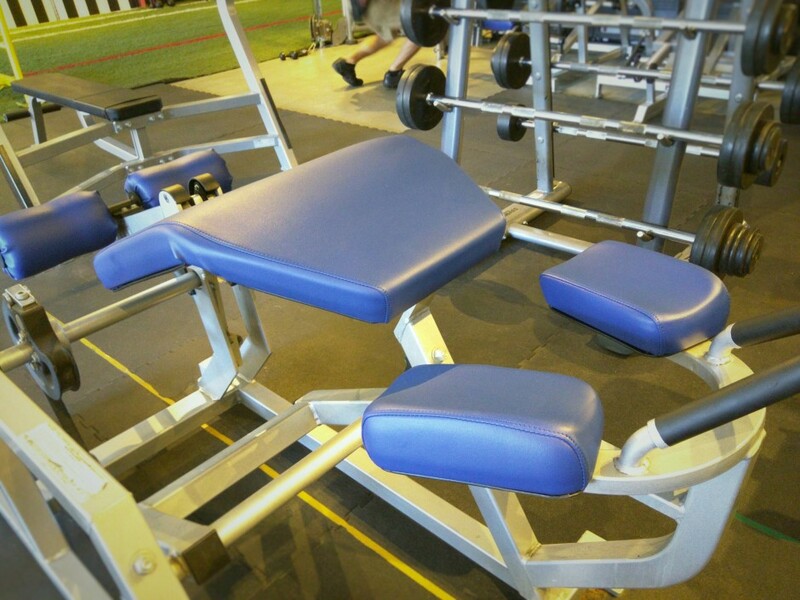 By utilizing BoltaSport Olympus, a vinyl that is four times more durable than the original, we’ve given this fitness equipment upholstery the staying power they’ll need for years more of hard service!